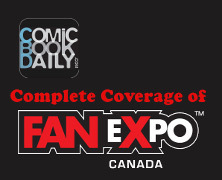 The very high end of the comic collecting world is crowded with character 1st appearances. Of the top 10 Golden Age comics 7 are 1st appearances of a character, same thing for the Silver Age 7 out of 10 while in the Bronze Age 6 out of the top 10 comics by Overstreet Price Guide value are character 1st appearances. 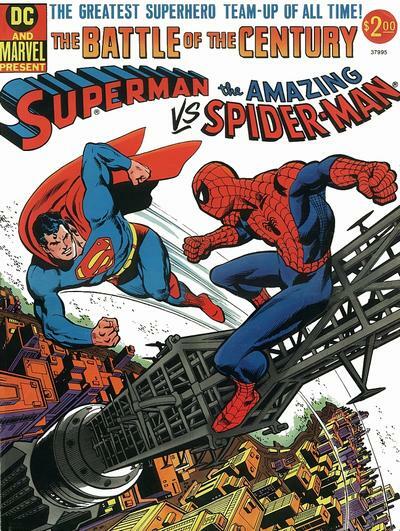 This all makes sense, the 1st Batman, the first Spider-Man, the 1st Superman should be among the most expensive comics. An easy formula (for the pre-speculative eras anyway) – culturally important comic book character + his or her 1st appearance = lots of money! What are the 3 comic books that have cracked the $Million Dollar mark? 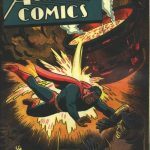 Action Comics #1, Detective Comics #27 and Amazing Fantasy #15 are the 3 comics that have sold for over $1 Million, 3 different copies of Action Comics #1 have done it alone. Here’s the thing, if I read this to my buddy who is not into comics he wouldn’t know why they are worth some much. What the 3 comics have in common is that none give away the name of the character that makes them worth so much. 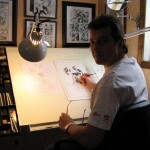 There are other examples of this, All-American #16, Brave and the Bold #28, Pep Comics #22 also illustrate this point. Not only do none of these 6 very expensive comics mention the character they introduce 5 of the 6 are not even #1 issues! Superman (Action), Batman (Detective), Amazing Spider-Man (Amazing Fantasy), Green Lantern (1941) (All-American), Justice League (Brave and Bold) and Archie (Pep Comics) all got their own titles with the inaugural #1s a short time after their 1st appearances and these #1s are also all very valuable comics. The question is – are they overvalued? The key to comparability for this argument is that the #1 issue comes out on the heels of the 1st appearance issue; my sample group below has a max time of 13 months between the compared issues. This way we are kind of comparing apples to apples. Books like Tales of Suspense #39/Iron Man #1 are not comparable since the character’s title #1 issue came out long after the 1st appearance and there were perhaps over 100 appearances of that character in between. Books like Captain America #1, Fantastic Four #1, Hulk #1 and X-Men #1 are easy to deal with, the 1st issue represents the introduction of the title character and all is well. We get that drastic drop off in value for the second issues. This is a generalization but in simplest terms everybody wants X-Men #1, X-Men fans want #2. Price drop offs are what you’d expect as you move away from important 1st appearances of a character into the domain of the run book. Easy to see the value when we realize these #1’s represent the intro of the character into popular culture. These can easily be collected (and are) as standalone important publications. In this sample group we’re looking at an average of 14.4% as the value of the #2s vs the #1s containing the 1st appearances. What I’d like to do is take a look at the values of 1st appearance issues vs. their titled series #1s. Here is a list of the books I will take a look at. Collectively this group has an average of 30% as the value of the #1 title issues vs the issues featuring the character’s 1st appearance. If we take out the Detective/Batman which seems almost an anomaly the average is a very strong 64.6%! Let’s look at them individually and make the call. You are looking at a 12 month difference and you are looking a Archie #1 being the 16th or 17th Archie appearance (don’t forget the Jackpot issues) and you are still looking at Archie #1 being worth just as much as Pep #22. Heck Pep #22 give us the 1st Archie, the 1st Betty and the 1st Jughead while Archie #1 gives us the 1st Mr. Andrews! And though the guide calls Archie #1 scarce there are 21 universally graded (not restored) by CGC vs only 7 Pep #22s. I look for a gap to open up between these 2 issues with Pep #22 pulling away over time. 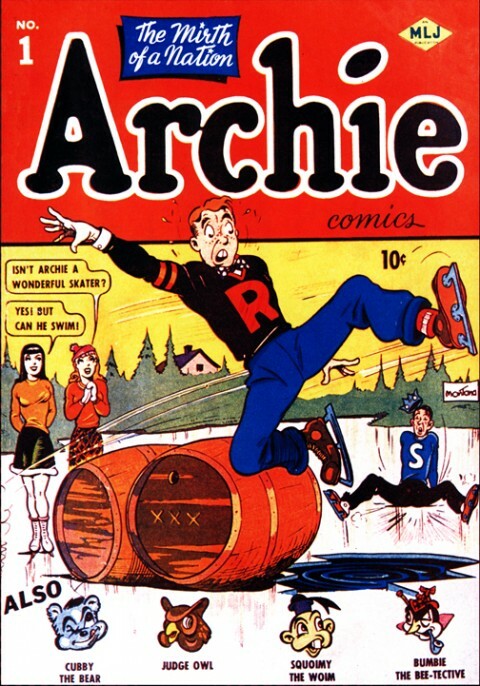 Archie Comics #1 is overvalued. There is roughly 1 year between these two publications and Batman has already appeared 12 times in Detective before Batman #1 came out. 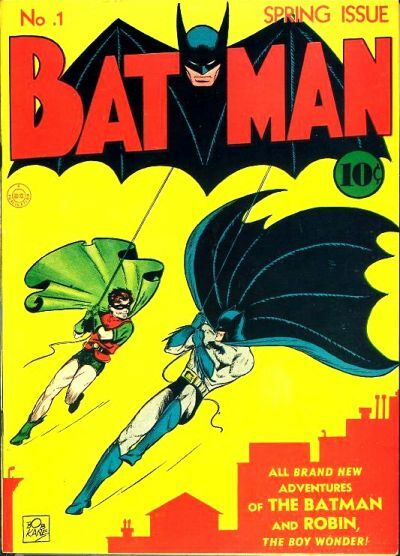 Batman #1 brings a lot to the table though, the book retells the Batman Origin and it feature the 1st appearance of perhaps the greatest villain in comics, the Joker and Batman #1 gives us the 1st appearance of Catwoman, the 1st villainess in comics. Of all the above issues Batman #1 by far brings the most to the table while surprisingly being by far the least valuable compared to it’s principle character’s 1st appearance book. As I’ve said in the past Batman #1 is undervalued! There are 9 months that separate these 2 publications. 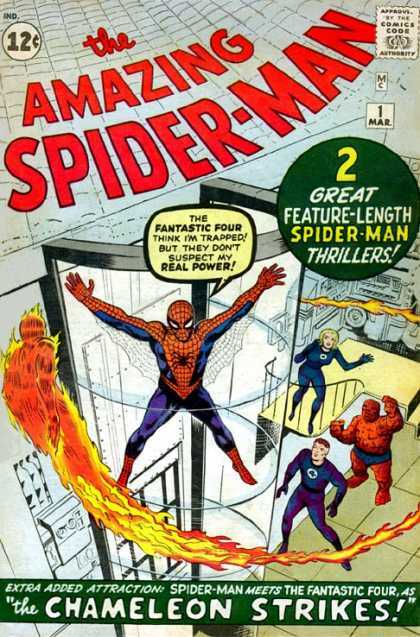 Unlike all our other examples Spider-Man only make 1 appearance outside his character title, Amazing Spider-Man #1 represents the true second appearance of Spider-Man. The issue has a Fantastic Four cross-over – the 1st Marvel cross-over (with Fantastic Four #12). The guide has this ratio right but it has been a long journey to fairness for 20 years ago in the Overstreet Guide #23 Amazing Spider-Man #1 was worth 97% of the Amazing Fantasy #15 value ($7000/$6800). Amazing Spider-Man #1 is valued fairly. The Silver Age incarnation of DC’s superhero team first appeared over 3 issues of Brave and the Bold, #28, 29, 30 and due to the success of these issues DC launched the Justice League just over 2 months later. Basically this issue picks up where Brave and the Bold #30 left off. 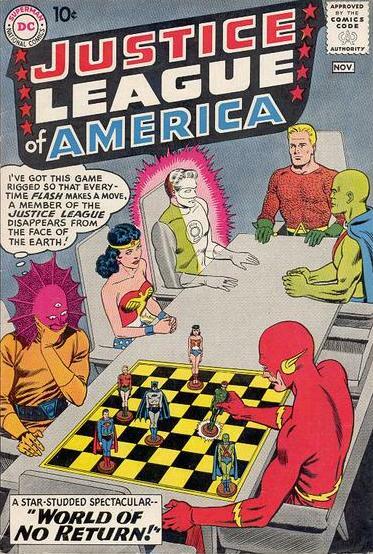 If they did this book the old Four Color way, where Four Color #596 and #656 were Turok’s 1st and 2nd appearance and the next Turok issue Dell published was #3, then JLA #1 should be JLA #4. The same argument I presented above for Brave and the Bold/Justice League applies here. The character debuted over 3 issues in Marvel Spotlight #2 to #4. 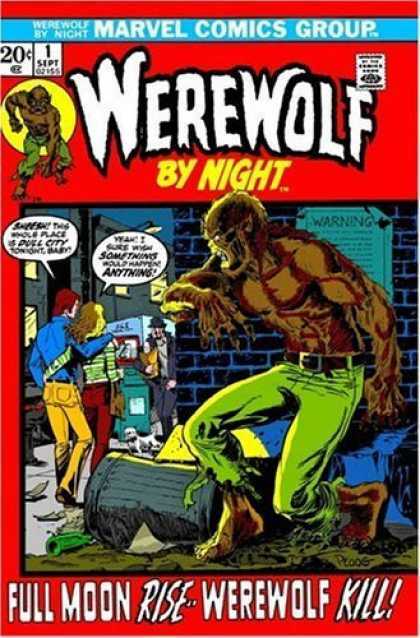 Werewolf by Night #1 came out 3 months later. I’m starting to sound like a broken record but the same argument I presented above for the above 2 books applies here. The character debuted over 7 issues in Marvel Spotlight #5 to #11. 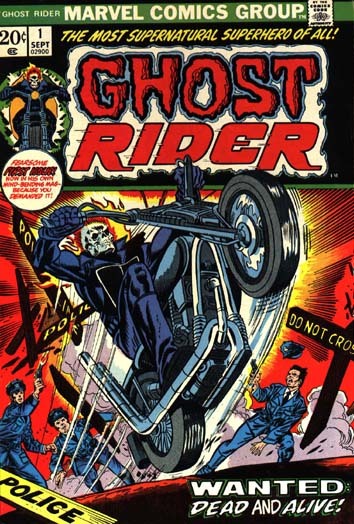 Ghost Rider #1 came out 13 months after the character’s 1st appearance but only 1 month after the 7 issue Spotlight run. Ghost Rider #1 is overvalued. Wow! I’ve called 4 of these 6 books overvalued! This is what I think. The comic book collecting community has dictated terms since the beginning but our hold on power is diminishing. Non collectors are starting to put some money into comic books and they are gravitating to character driven comic books (1st appearances) and are not as impressed as we are with collector driven comic books (1st issues). In the above examples where one and the other is not the same I think we will see the #1s lose ground to the 1st appearances, its already happening. The whole notion of #1s has lost its value though hasn’t it? What does a #1 mean after all in an age where Marvel resets their titles to #1 every several years, in an age where DC can just say we’re starting everything over at #1. When bidding in the next auction keep this distinction in mind. I think #1s became over valued with the adoption of the mini series in the mid 80’s. All of a sudden, there were #1s every where and speculators picked up piles of them. So what good are #1s if they can crank them out indiscriminately or renumber a series any time sales begin to dip? The the value becomes holed up in first appearances… but I find this questionable. Shouldn’t revolutionary books like DKR and Watchmen be worth a lot more for their influence? After all, they help shape the current landscape. Perhaps, but these particular books were published at the height of the comic craze and “influence” or “quality” is subjective… Unlike first appearances, they are difficult to quantify. If first appearances are valued, what about first creator appearances. Books like Twilight Zone #84 is undervalued (as Walter noted many moons ago) but DD#158 is almost on par with DD#168. 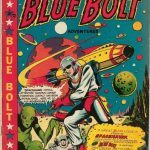 Should 1st comic works by popular creator or 1st popular creator on popular character have any value? Again, “popularity” is difficult to quantify these days. Alex Ross is awesome but Marvels and Kingdom Come can be found in $1 bins. Here’s something else to think about. What about final issues… Akira was a popular manga series so there are plenty of #1s to go around. However, by the time the series ended, there was less interest, thus far less #38s printed than #1s. #38 is a real undervalue contender and has performed consistently well on eBay despite the fact that Overstreet does not recognize it’s value. I’ve run into many people who are trying to put a set together but often, they are missing the highly coveted #38. What about key events like death issues or 1st IM in red gold armour, 1st DD in red costume and 1st Spidey in black. If characters are constantly dying and being brought back to life, if they are constantly changing costumes… how meaningful do these events become? ASM#583 was a hot book after the Obama cover made the evening news… selling for hundreds at it’s height, 5th printing and a slew of copy cat attempts featuring Obama. ASM#36… black cover 911 issue… still highly valued by modern collectors. Great topic Walt… and congrats on your new store! That’s another thing to check out the next time we’re in Niagara Falls. Great article, Walt! Interesting take on the whole #1 situation. I think the first #1s (woah) will hold value. So we know there’s 3-4 volumes for Wolverine, Ghost Rider, Iron Man, etc. But the Volume 1 #1s will still be coveted. True, they don’t mark the first appearances, but they do mark the first time Marvel sent them out to the world on their own. 5) Important character interaction (e.g. Wolverine #10). Numbers ones since the 1980s have become pretty meaningless, along with most number ones in the 1970s; with some exceptions such as Tomb of Dracula and Conan ect. Marvel and DC have moved to cut into all that money in the secondary market by making first issues as common as stagnant water. I think the whole idea of a mini series is to get as many number ones out there as possible. They see what is happening on the secondary market and they are lusting after all those dollars. Recent comics such as Walking Dead #1 selling or $400-plus is ridiculous. Just wait until the TV show is gone to hear all the groaning from speculators. First appearances will always be more important and worth more money than number one issues – in general – and I can understand that. I collect first appearances and number ones of my favorite characters and will continue to, but if it’s anything recent – last 30 years – I do it for love of the genre and the character not the monetary value. Good article Walter and some good ideas Danny. I also collect books printed on anniversaries – 100,200, ect. – because they usually contain special stories in celebration of the character. By the way, I have Marvels and Kingdom Come in my collection, in near mint condition, of course, because I consider them classic story and art. May not be worth much $$$$wise, but they are great books. #1s are definitely not what they used to be. It seems you need some sense of continuity for them to have at least a chance. I remember when Spectacular Spider-Man was still going, there was interest in the #1, ditto for Ultimate Spider-Man. Quality? Tough one. 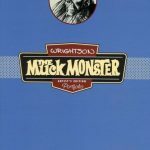 Scott mentioned on an earlier post of mine that he loved the Golden Age covers but that the stories were awful. It seems that a quality comic of a character 50 years after his introduction helps the “awful” 1st story more than it does the “quality” story. You touch on many points that emphasis a shift away from collecting the run and towards collecting “special” or “significant” issues. We should weigh the merits of the #1s we consider. Thanks re the Falls Charlie, hope to see you down there soon! I like your list RJ. We all agree that all these points add to the value of the book. Its more a question of the shifts in values happening. Definite move away from the #1 towards the 1st appearance (where they are not one in the same and are of the same time period as above). Another question would be what will happen to the other points? Since these points already hold value will creators, story arcs and character interactions move even more to the collectors favor or less? 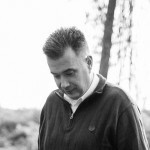 Another thing to consider–what effect has the web had? Unless you’re an enthusiast/serious collector, you really don’t know that Marvel Spotlight #5 marks the first first appearance of Ghost Rider. With the web it’s so easy to get a list of key titles and historically significant books. You log onto ebay and the title description reads FIRST APPEARANCE OF THE PUNISHER BUY NOW! So comic history is all neatly organized and the selling of back issues revolves around these key titles. In a matter of minutes a new comer can gain the expertise of a diehard collector. Very true RJ… I’ve been researching X-Factor #1 and I inadvertently stumbled upon X-Factor #6 and #24. These books are not my area of interest… so who knew. Marvels and Kingdom Come are great books… I really don’t know why they are not more coveted. Perhaps they’re too common in trade form? I’ve got a few nice sets of my own. Darwyne Cooke is another example. Considering he’s a fan fav, why is New Frontier not worth more…? It’s a mystery. As more people get excited about comics, especially via the movies, number one issues will get pricier, because to most people, the first solo appearance in an eponymous comic is the ‘obvious’ first issue, even if a collector knows otherwise. This happened with Iron Man #1, which has gone way up in value over the last few years. Real first appearances like Tales of Suspense #39 or Amazing Fantasy #15 are just too expensive for most pockets, and the next best thing is number 1. 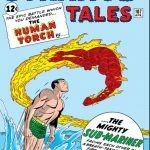 What amazes me is the loathing for comics with more than one main feature – Tales to Astonish with Hulk and Sub-Mariner or Tales of Suspense with Cap and Iron Man – these are early appearances, key stories, yet cheap as chips. Surely they’re undervalued, but then no-one seems to like it when their favorite characters have to share the limelight. Another category I forgot is first Silver Age appearance (e.g. The Vision in Avengers #57). too much contradictory info out there! compared to the Detective 27? Batman 1 relatively common to the Detective 27 and 33. An easy way to look at this is maybe #1’s are valued appropriately. It’s the darn #2’s that in almost all cases are way undervalued in comparison considering they are just the next months issue and the next appearance !